These FPGA boards include one or two Xilinx® Kintex UltraScale or Virtex™ UltraScale+ FPGAs with High Speed Serial connections performing up to 25+ Gbps. On each Compute Processing Element (CPE) FPGA there are two 32-bit and 72-bit DDR4 DRAM interfaces clocked up to 1200 MHz. There is also an on-board quad ARM CPU running up to 1.3 GHz which can be used for local application requirements without using PCIe bandwidth. 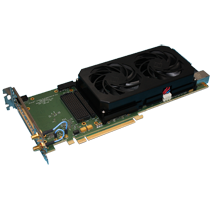 It is accessible over PCIe and also has dedicated AXI interfaces to all FPGAs. There is an RJ45 Ethernet port and UART for ease of application development. The on-board CPU can also utilize the PCIe bus back to host CPU for Ethernet and control. 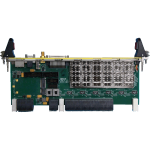 PCIe boards connect to the host system via a Gen 3 PCI Express switch which provides a x16 interface to the host (up to 16 GB/s) and x8 Gen3 interfaces to each FPGA (up to 8 GB/s). There is also plenty of on-board inter-FPGA HSS connections for data movement. 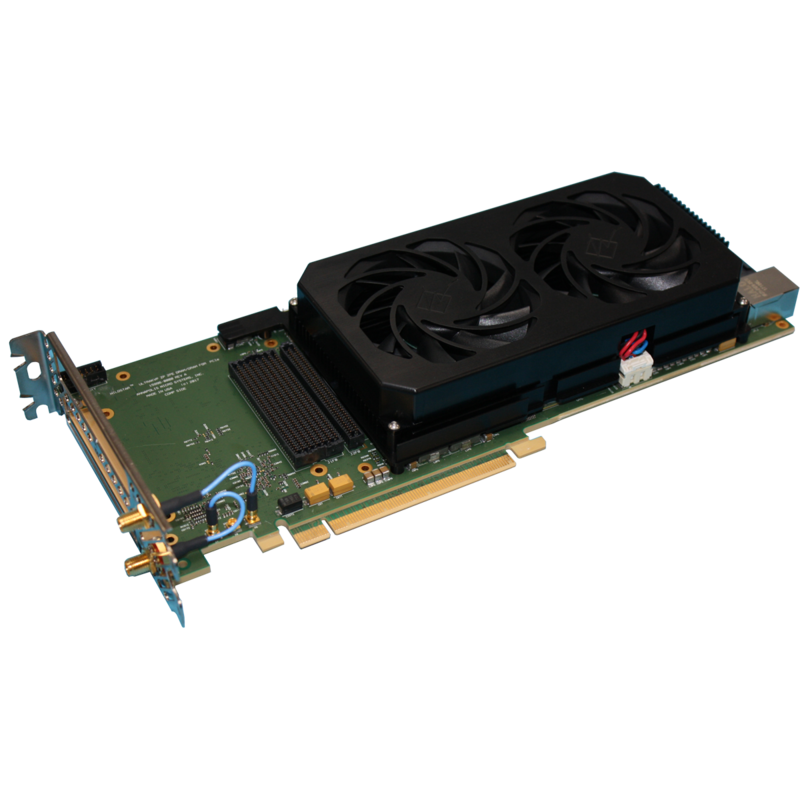 To ensure safe and reliable processing, WILDSTAR UltraKVP ZP for PCIe boards come equipped with a proactive thermal management system. 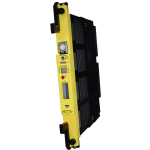 Sensors across the board monitor power and temperature, with automatic shutdown capability to prevent excessive heat buildup. These boards are built with a rugged, durable design. Review other PCIe FPGA boards or other Xilinx FPGA boards. 11U Rack mountable, 12-slot OpenVPX chassis with OpenVPX switched topology backplane capable of 10Gbps+ signalling compromising of 2 switch and 10 payload 1″ slots. 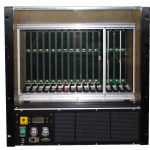 Option of additional secondary 4-slot OpenVPX power-only (Shown) or 5-slot VME/VXS backplane. 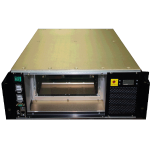 4U Rack mountable, 4-slot OpenVPX chassis with OpenVPX mesh topology backplane capable of 10Gbps+ signalling compromising of 4 payload 1″ slots. 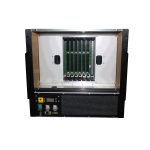 Built in 1GbE Ethernet switch connecting front panel RJ45, chassis system monitor and optionally each payload slot. 10U Rack mountable, 6-slot OpenVPX chassis with OpenVPX switched topology backplane capable of 10Gbps+ signalling compromising of 1 switch and 5 payload 1″ slots. 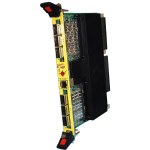 Option of additional secondary 4-slot OpenVPX power-only or 5-slot VME/VXS backplane.